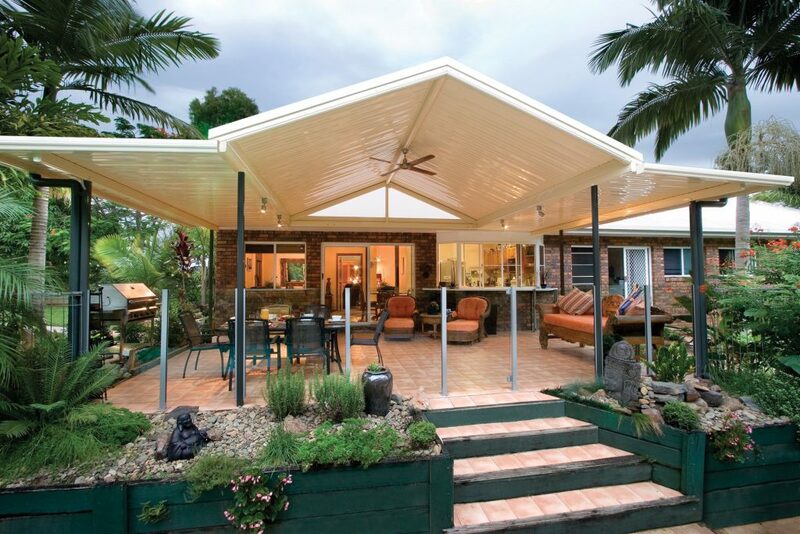 If you are looking for something a little bit different for your patio, why not try a pitched roof patio from the Stratco Outback range. 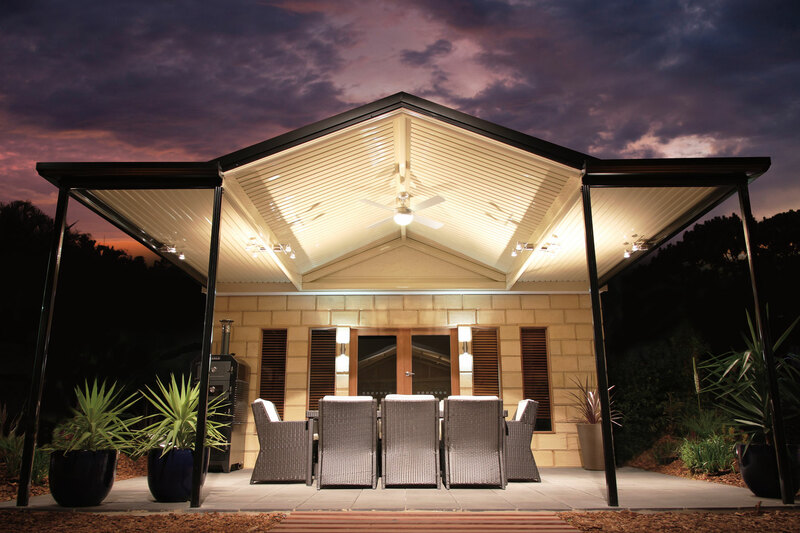 For the ultimate in outdoor style, the pitched roof of the Stratco Outback Gable Patio gives an old-world farmhouse look to your outdoor area, adding both innovation and design flair to an outdoor space. 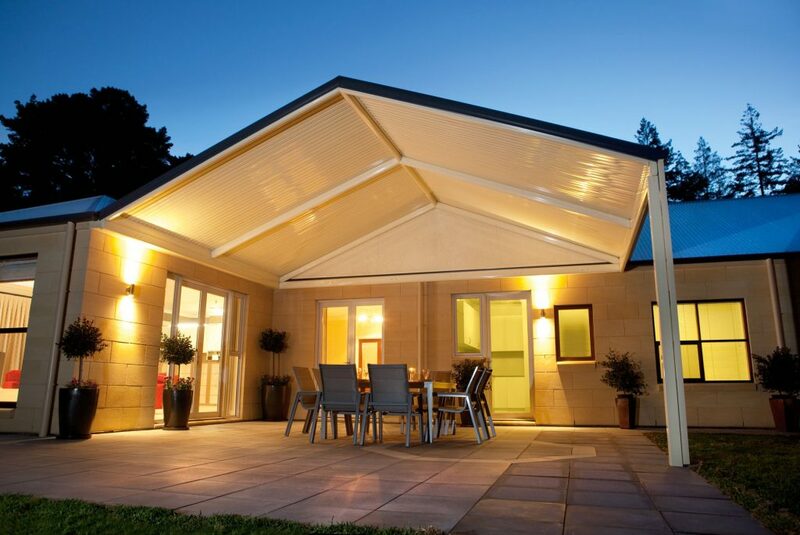 The popular charm of the pitched roof Stratco Outback Gable Patio, Gable Veranda or Gable Carport is the perfect choice for those warmer summer months, with maximum air flow provided by its high ceiling. 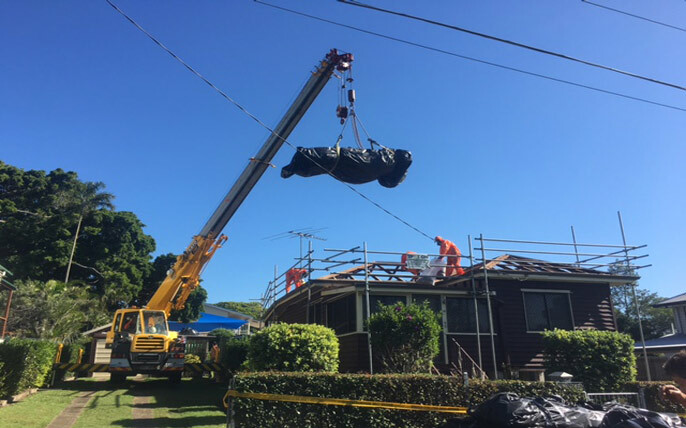 As with all the innovative Stratco Outback products, the Outback Gable is available as a freestanding unit or attached to the home. 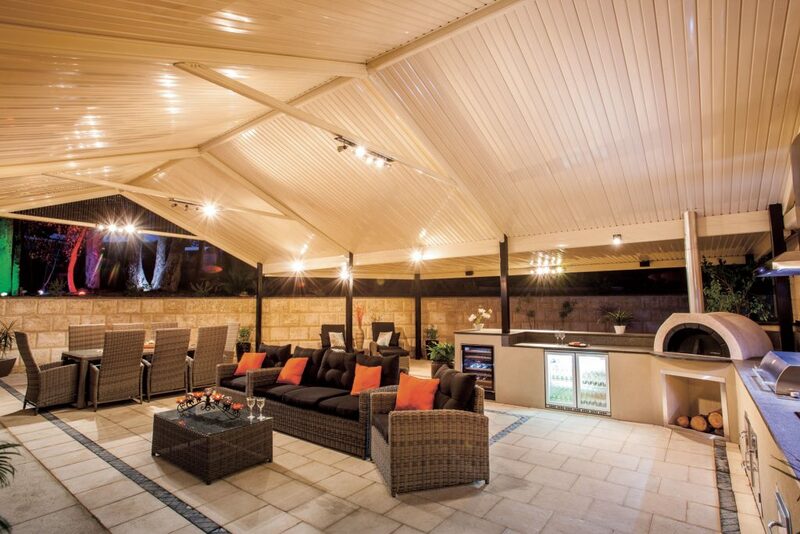 As a combination with the addition of the flat roof or pergola sections, a Gable Patio becomes the focal point of your outdoor entertainment area, with plenty of room for the whole family. With a wide range of different materials and designs available in the Stratco Outback range, your gable patio, gable carport or gable veranda can be made to suit any home, and any existing décor. 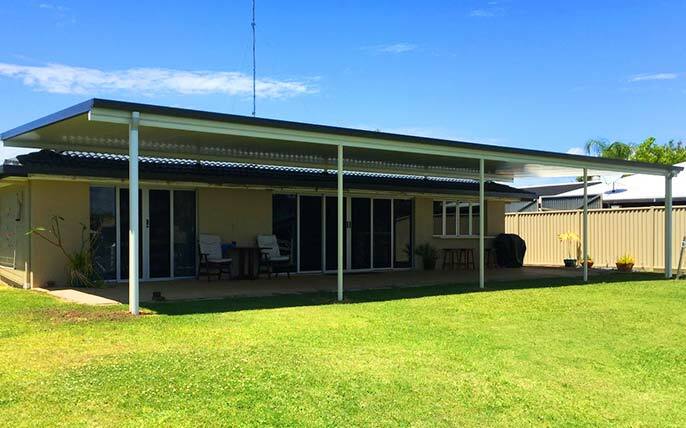 Choosing the Outback Clearspan Gable design for your pitched roof carport, pitched roof patio or pitched roof veranda incorporates the use of the innovative Stratco Outback Deck. The Outback Deck uses a supporting beam made from roof material that is so strong it doesn’t need any extra support, for smoother, cleaner lines, so you will have more space for enjoying your new Stratco Gable Outback Patio however you choose. 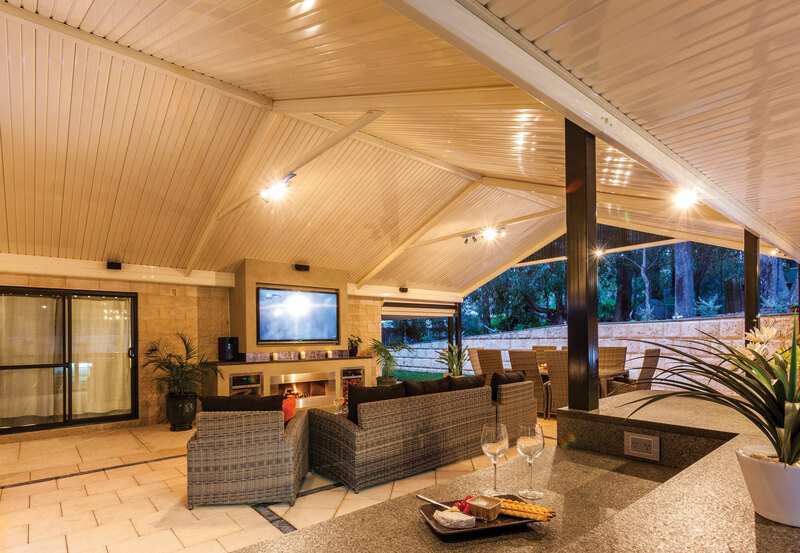 The Outback Multispan Gable incorporates purlins placed over the rafters of the roof space, allowing support for the cladding of your choice from either the smooth Outback Deck, a polycarbonate for light and air, or a traditional corrugated steel finish. Give us a call and talk to someone from our team about how you want to use the space, and we’ll help you to customise your design to perfectly suit the space you want to create. 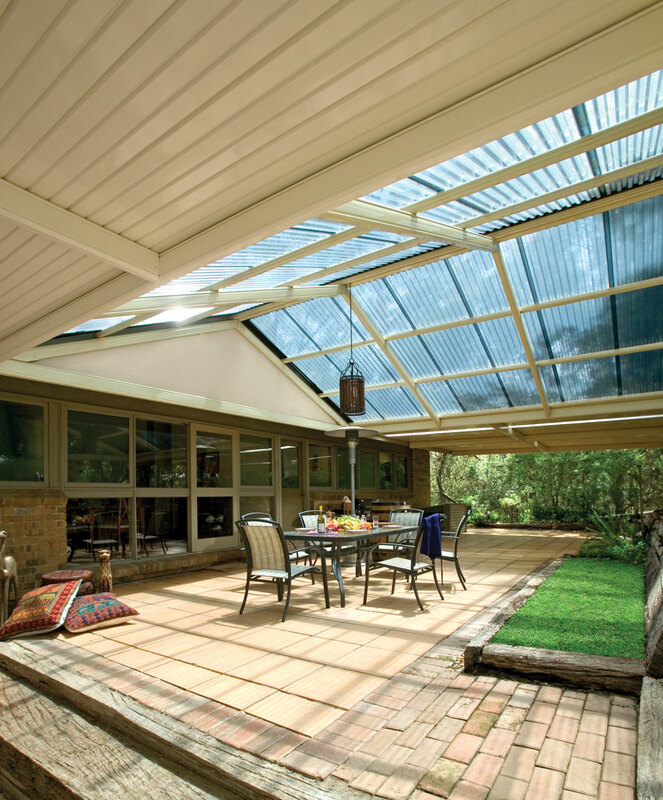 Getting it right with the quality Stratco products means you will be able to enjoy the space for many years to come.